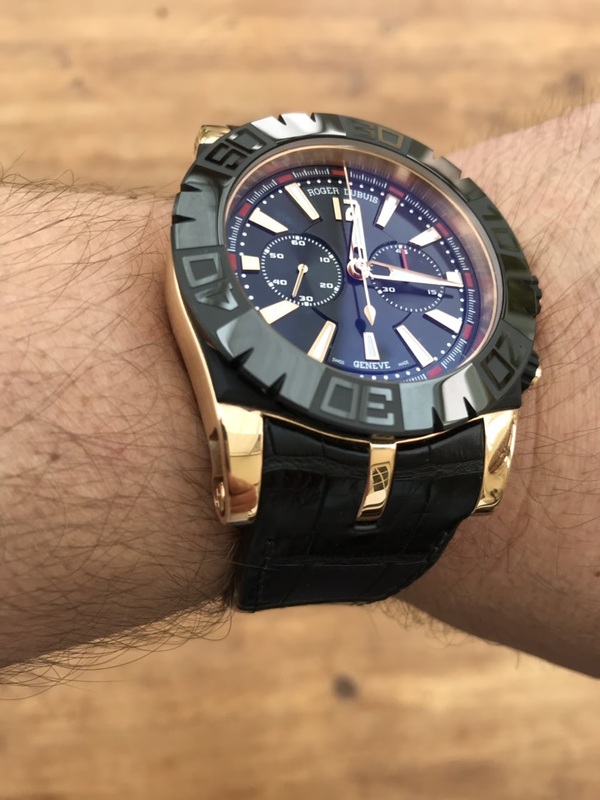 Roger Dubuis - Boom! What a bomb the Easy Diver is in rose gold! A little out of step with contemporary style... but certainly has wrist presence! Boom! What a bomb the Easy Diver is in rose gold! A little out of step with contemporary style... but certainly has wrist presence!